MAN O' WAR NIGERIA: Man o' War Nigeria ...build the man, build the community. Man o' War Nigeria ...build the man, build the community. Man O’ War Preaches Integrity, Diligence And Patriotism. 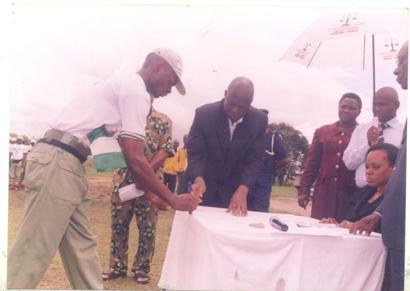 The Commander, Man O’War, Oyo State Command, Mr. Adeoye Ayoade, has urged citizens of the country to commit their time and resources to the promotion of peace and unity. Ayoade made the call in Ibadan at the investiture and conferment of honours on some personalities. Among those honoured were the former Peoples Democratic Party candidate for Oyo South Senatorial District, Mr. Seyi Makinde; acting Director General, Citizenship and Leadership Training Centre, Mr. M. O. Fawole; and Resident Commissioner, Independent National Electoral Commission, Lagos State, Dr. Ladipo Ogunmola. Even within the media world, a lot of eminent Nigerians do not know what Man O’War really is. Is it just another Boys Brigade, maybe? When I joined Man O’War in 1993, you dared not come to meeting with a Boys Brigade ID card: it would be torn. Why? Man O’War is serious business. I still remember that day when Nigeria defeated Zambia in Tunisia 94. Is any of my bosses reading this? Well, we were at Mile 2, Lagos, undergoing an examination, including a written test, parade and interview. The Lagos command may wish to recall the comments of the soldier who was on hand to handle his own part in our training: he said if he left the Army, he could only join the Man O’War. That, really, is the position of soldiers. They would rather join Man O’War than the Nigeria Police. I suppose that I shall always be able to be part of a route march. In those days, if you wished to join the Nigerian armed forces, Man O’War was the place to be. Nigerians who wish to know more about Man O’War may wish to google my “CLTC: An underutilised national resource?” In the essay under reference, I pointed out that the Citizenship and Leadership Training Centre (CLTC), an agency under the Federal Ministry of Youth Development, was backed by an ordinance published in the extra-ordinary Gazette No 45 of August 10, 1960 and modified by Decree No 38 of December, 1989, and that Man O’ War Nigeria, its field arm, is a Federal Government establishment. For you to identify the true Man O’War, look for the CLTC badge. Man O’War is a property of the Federal Government; it is a creation of statute. As a patriotic Nigerian, I am happy to be a Man O’War bay. (Kele oo o e don happen; kele kele asun kele, haya haya! ), though not very active for reasons of other national responsibilities. For a start, though, there is no soldier anywhere in Nigeria that has not undergone Man O’War training and it is not a joke. It is serious business. Minus the armed forces, I do not know of any training anywhere that is tougher than ours. None. If this is a boast, I would like anyone with contrary information to come forward. Members of the Nigeria Security and Civil Defence Corps (NSCDC) have been doing very well, but Man O’War trained and still trains them, together with cadets from any security agency(Army, Navy, Air Force, Police, etc), and even civilians. Man O’War is just like Nigerian Pidgin, used and dumped though an invaluable asset. Why has government so callously abandoned Man O’War, an agency which belongs to it, older and more valuable than most of these latter day agencies? If Man O’War trains personnel from EVERY security agency in the country, why has it so been callously neglected by the Federal Government, rather than commissioned and upgraded for greater national relevance and as a way of enhancing national security? Certainly, men of the Army would be pleased to death to work with Man O’War Nigeria. It is a shame that even policemen now harass Man O’War officers, something they would never have dared to do years back. To think that these people CANNOT wear any pip without passing through Man O’War training, and then they would turn against Man O’War after it had already trained them, leaves a sour taste in the mouth. But kudos to police officers like Tambari Mohammed, the former Oyo State police CP, who appreciates the relevance of Man O’War Nigeria. The Citizenship and Leadership Training Centre, with schools spread across the six geopolitical zones in the country, is noted for operations based on the following guiding principles: superior standard and an extensive range of first-class guest services; direct dramatic experiences in new surroundings to help those taking part discover their strength, build their confidence and re-examine their ideals and values; personal development using social challenges, the mountain, the jungles, and the sea as means of personal growth; adaptability, self discipline, resourcefulness and perseverance in the face of challenges and uncertainty; active participation in the setting up of a supportive residential community. In addition, it encourages participants in any of its courses to cooperate with other participants, to give service to and to accept responsibility for others; stimulate the imagination and sense of adventure and foster true appreciation and concern for the environment, while placing emphasis on practical work in small group, with adequate time for reflection, discussion and critical appraisal. Man O’War is not the same as Boys Scout or anything of the sort, though we should, of course, appreciate that organisation (Boys Scout). Nigerian youths have excellent opportunities to realise their potentialities in Man’ O War Nigeria. If you wish to be a sports person, its mind and physical training is bound to enhance your capabilities. If you have watched a parade, you have probably seen the deep poetry behind it. Whether you are on slow or quick March, carpet march, jakoroko ja (Principal, o o igbosa, jakoroko ja! ), you are engaging in an endeavour which thrives on team work. No single person undertakes a successful parade; it is team work. What earned me the dirtiest slap of my life on that great footballing day was someone else’s mistake, but that is the nature of parades. You mess up; you mess others up. Serious nations do not joke with matters of security. Only a country like Nigeria would ignore a heavily equipped organisation like Man O’War. Finally, I would like to say that I have written this short piece with every sense of responsibility, believing that the Federal Government would rise up to its responsibility, commission Man O’War Nigeria, and stop treating it as if it were inferior to any of the other paramilitary agencies when, indeed, it is, by training, inferior to no paramilitary agency. Man O’War na soldier pickin. That is why no other paramilitary agency has the desert camouflage as part of its uniform. 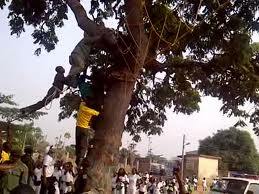 The Nigeria Police are coming behind Man O’War Nigeria in the use of the camo. 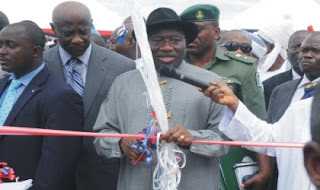 President Goodluck Jonathan has an excellent opportunity to make history by redressing the wrong done to Man O’War. And if anyone, in reading this, thinks that I have exaggerated the capabilities or seriousness of Man O’War, I advise that person to link up with the Nigerian Army, or register for a course at the Sea School, Lagos. Such a person would become “gentle” in a matter of minutes. Man O’War will get its hard-earned due. I will be using my own experience to reveal to you how you can trace and locate the NYSC camp of your state of deployment. I got my call-up letter to serve our fatherland on the 6th of August 2009 as against Orientation camp on 10 of August 2009. 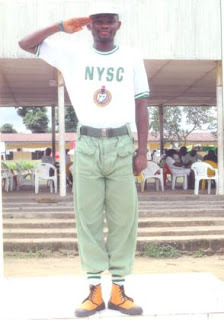 During my time, a great number of corps members were mobilized which made our batch to be divided into stream 1 and 2. My name fell in Batch B Stream 2. Normally once you are given your call-up letter, the next thing will be to choose a date you will start the journey to serving your father land. If you are posted far North, East, South or West depending on your location, it will be nice you leave your home or state 2 or 3 days to the official day of camp resumption. This however is cool when you have somebody in the state where you are posted, but if you don't, you can leave a day to the main camp resumption date, but make sure enter a good transport system. If your state of deployment is close to your home or state, then you can leave very early in the morning or still better the evening before the next day; there are people (NYSC security personnels and even your fellow to-be corps members who may have arrived camp before you) already waiting to receive you on camp. The camp unofficially is usually opened a day to the official camp resumption day for mobilized to-be corps members to sleep over the night. 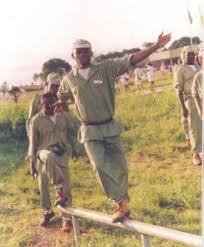 Ok, the above is an overview, what about tracing the main NYSC Orientation Camp? This is simple especially for states with good road transport system. I was lucky to be posted to Akwa Ibom State, one of the Nigerian states with a very good road network. Why it's advisable you leave on time is because you will need to be asking questions especially when you arrive your state of deployment. Besides any of the above, you will see other Otondos or new to-be corps members arriving from other states at the central park of your state of deployment, this is an advantage you will have for entering a known car company that has popular park branch. When you reach the NYSC camp other things will follow. The things you will need to know will be taught to you by NYSC officials, Military men and Man "O" War. Be committed and dedicated to a group while on camp you may get lucky as I did to be posted to the state territory of your state of deployment or any other closer town. See below a gallery of some of pictures I took during my stay at the NYSC Orientation Camp at Nsit Atai, Iko Itie Udung, Akwa Ibom State, Nigeria. INTRODUCTION This is a called a club by some people,and also a association by some people,but the fact still remain that "Man O' War Nigeria is an Association"and is divided into two 1. Man O' War Cadet 2.Man O' War Man O' War Cadet: This is an association formed by student of any school i'e University,Polytechnic,College of Education.NOTE : THIS IS NOT A SECRET CUT.This is an association approved by Federal Government of Nigeria. Man O' War: This is also an association formed by the member of a community,whether rural area,urban area,to mention but a few.But NOTE:WE ARE ONE.